In the past couple of weeks I’ve been hearing news and reading a lot of blogs about the anniversary of the Civil War. Of course I’m happy about the outcome. What Black person or person of color – particularly in the United States – wouldn’t be? Sorry folks, I’m feeling some kinda way about that statement and just had to get that out. 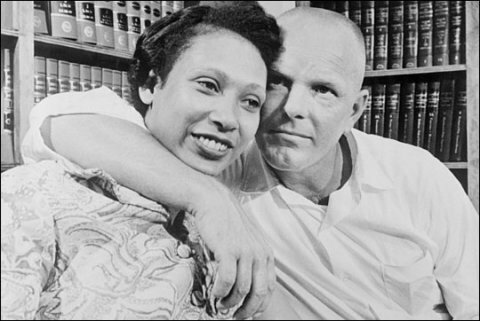 On another note, what the talk of the Civil War anniversary really made me think about was the wonderfully compelling love story of Mildred Jeter and Richard Loving, who in June of 1958 decided to buck the tide of ignorance and racism and pursue their American dream, which was to spend their lives living and loving each other in holy (and legal) matrimony. They had to go to Washington, DC for the ceremony but were arrested in their own bedroom in the middle of the night by sheriff’s deputies for the “crime” of interracial marriage. They lived in exile, separated from their families and banished from the home state they loved, for five years and finally grew tired of the fact that they couldn’t live as a married couple in any state they wanted to live. They decided to fight back and in June of 1967, nine years to the month that they were married, in a landmark Supreme Court case they eventually won the right to live and live in marital bliss anywhere in the United States. Thankfully, I’m feeling some kinda way about that, too. 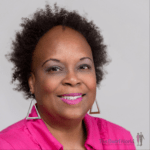 Trump’s statement struck a nerve in me because it made me painfully aware of the fact that racism – whether inherent, overt or covert, real or imagined, never seems to be far from the surface. I’m grateful for the advances that have been made, yet I’m mindful of the fact that 1967 was only 44 years ago. Yesterday (April 15, 2011) the world premiere of The Loving Story, a documentary telling the story of Richard and Mildred, debuted at the 13th annual Full Frame Festival in Durham, NC. Though the documentary tells the Lovings’ story of forbidden and what-was-then-illegal interracial love, it also explores the heavier themes of miscegenation and racism. 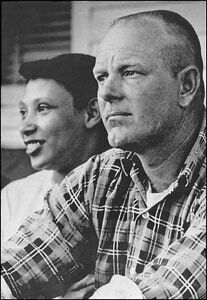 Today I thank God for Richard and Mildred Loving, and for them having a love for one another that transcended the climate and laws of their day. I thank God I live in a country where, like Mildred, I can freely choose the person I believe is the right person for me to marry. And, like Mildred, not a day goes by that I don’t think of SM and our love, our right to marry, and how much it means to me to have the freedom to marry the person most precious to me. I like to think that God lovingly submitted SM to me – and me to him. What has been “lovingly submitted” to you? Kay, thanks so much! You are right – we have to appreciate Trump’s freedom of speech here in the USA, even if we don’t appreciate his speech. LOL. Thanks for reading. This was a great read. Im glad you addressed this. I like you, felt some kinda way about Donald Trump “very intelligent” statements. Im thankful that we live in a country were we can have the freedom to say or think what we want….no matter how smart, or not so smart, our thoughts are. Im thankful for the American dream, and the right to live and love and to pursue happiness. Im thankful for my family and wonderful friends! Last, Im thankful that you write this blog weekly, because I really enjoy it.